You are here: Home / Blog / News / Our Award From Theo Phapitis!! 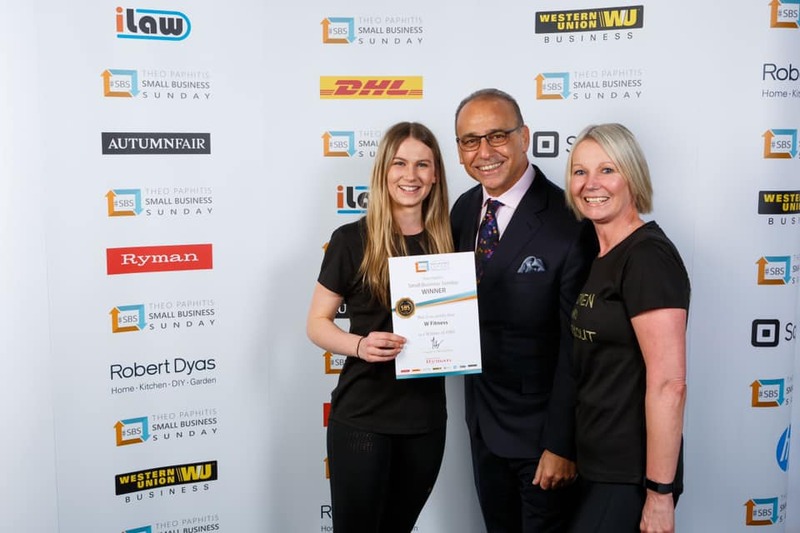 W Fitness received a business boost from Retail Entrepreneur Theo Paphitis – and Hannah and Caroline got to meet the man himself! In January, we tweeted Theo about our business, W Fitness, during ‘Small Business Sunday’. FYI: Only 1% of the businesses that tweet Theo, become an #SBS winner, gaining Theo’s business support. W Fitness was picked by Theo as his first 2019 winner (YAY!) and re‐tweeted our message to his almost 500,000 followers! W Fitness are now also profiled on the #SBS website that is exclusive to all Small Business Sunday winners. In February we were invited to attend Theo’s annual #SBS networking event where we received our certificate from the man himself! This was a great day with many business experts available to help us push our business further! Lots of exciting things are happening at W Fitness! – Keep an eye out!